São Paulo, Leverkusen – LANXESS is strengthening its standing as the world’s leading producer of high-performance rubber. Following a feasibility study, the German specialty chemicals company has decided to convert production of emulsion styrene butadiene rubber (E-SBR) used in standard tires to solution styrene butadiene rubber (S-SBR) used in high-performance “Green Tires” at its site in Triunfo (Rio Grande do Sul) in southern Brazil. LANXESS is the first company to carry out such a conversion. Studies show that 20-30 percent of a vehicle’s fuel consumption and 24 percent of road vehicle’s CO2 emissions are related to tires. “Green Tires” can reduce fuel consumption by 5-7 percent and have a shorter cost amortization period in comparison to other fuel-saving technologies in cars such as automatic start-stop systems and hybrid drives. “This means consumers can save real money in times of rocketing gasoline prices,” said Breuers. 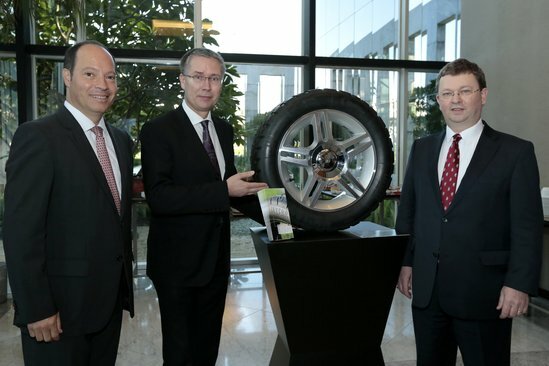 Last year, LANXESS showcased an “AA-rated” concept tire that was developed by the company in Germany and tested by TÜV SÜD, one of the world’s leading independent technical service organizations. The concept tire comprises the latest generation Nd-PBR and S-SBR technology, as well as rubber additives, to achieve a grade of “A” for both rolling resistance and wet grip under the new EU tire-labeling rules. It is one of the first tires in the world to achieve an AA-rating.